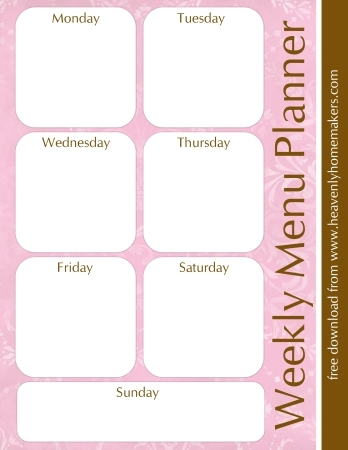 New Free Downloadable Menu Planners for Summertime! Pretty menu planners make me happy. They are much nicer to look at than a piece of faded paper ripped out of a notebook and thrown onto my fridge. 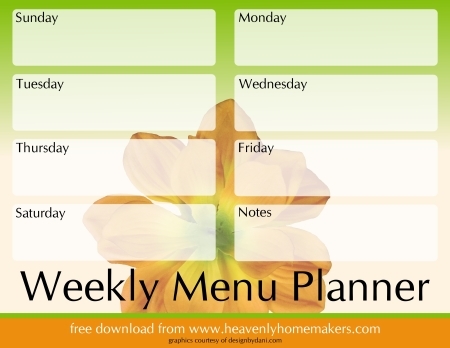 Any menu planner is better than having no plan at all, but still…isn’t it more fun to be pretty and organized? Ah, she did way better than I could have ever done. Take a look at these! Not only did Char create pretty menu planners…she made pretty grocery lists to go with them! Just click the link below each image to download, print and share as many as you would like!! Do feel free to share these, blog about them, tell your friends on facebook, print them and give them as gifts…whatever you would like to do! They’re free! 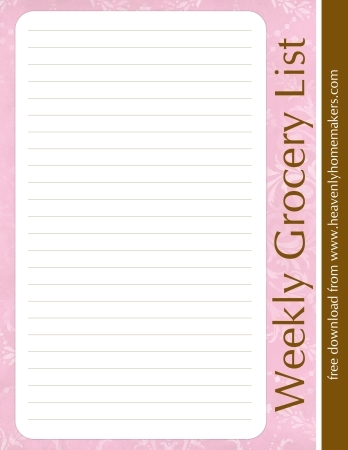 My mom bought something like this from michaels for me, they have the menu planner and list on one sheet and then a magnet attached to the cardboard on the back to put on the fridge. I LOVE the ones you have here, very cute. THANK YOU!!!! My kids have seen all the other ones and were just asking if you might have some new ones! Can’t wait to plan my next weeks menu! Might even start now! Thanks, I will be printing a few and laminating to keep reusing. So cute! If you put it in a frame behind glass you can use dry-erase right on the glass. Thank you so much Laura! I am having a houseful of company on July 3rd. First reunion in nine years! 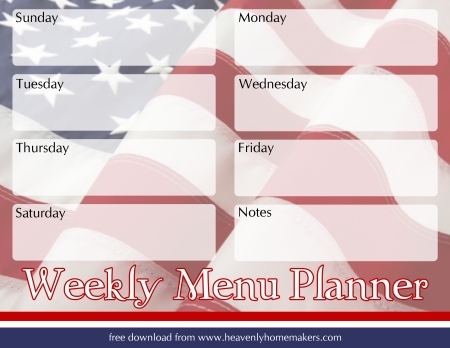 I have printed out the patriotic planner and list and will transfer my menus to this. It definitely is the “little things” that make life fun and happy. You have given us that! Thanks again! I love, love these! It sure does make planning so much more fun! Thanks for making them available. I already posted them on my FB page! Thank you for posting these! I posted them to my blog as well…such a fun way to keep myself organized. :) Thank you!!! Thanks! 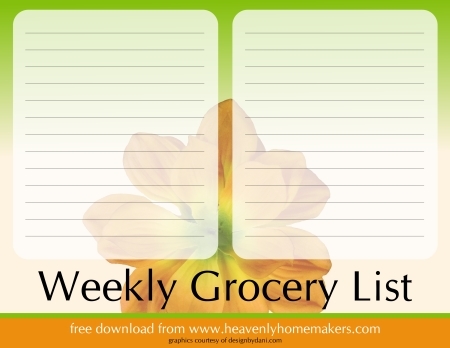 I just blogged about them… I also just purchased my copy of Health Snacks to Go. Thanks so much! These are so cute! Thank you so much for sharing them. Thank you so much! 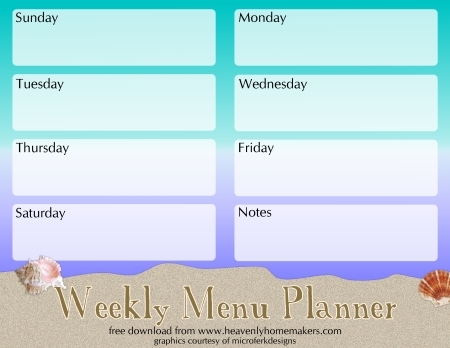 I love having a menu planner for the week, it helps tremendously with the question “What’s for Dinner?” :) Love the summer ones! These are great!! Thanks so much! I love have pretty things like this!! I love your menu planners! I love the idea of laminating them! Thanks! They are sooooo cute, thanks!! I just shared them on my facebook! Love it and laminate them to reuse : ) Thank YOU so much for those really cute planners and list! Thank you so much! What a great motivation to plan my menu for next week!!! Thanks for all you do on this here blog to make our lives easier and more heavenly. You rock. These are super cute! They make meal planning fun. Thanks for sharing! Thank you! I’m definitely a scrap-paper list maker, so these are a big step up for me. These are a lot prettier than a torn piece of paper! Thanks! These are lovely–and thanks to the commenter who suggested laminating them. yay these make me sooooo happy thank you! Pretty! That pink one with the boxes made me so happy! These are very nice but may I suggest a menu that you can type on and then print? (not as pretty but perhaps you could make it nicer)Email me and I will send it to you. It is great for me, a Mom of 7. You can erase it and rewrite each month.